There's been plenty of rain and a bit of frost this month but did it dampen our spirits or freeze our fireworks? 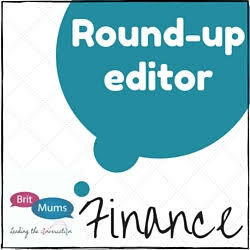 It doesn't seem to have done so cosy up for this month's In With a Bang round up. 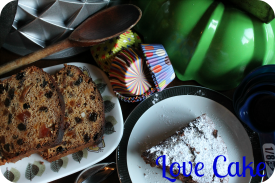 To keep you warm on Bonfire Night you need a bit of spice in your cake and Choclette at Chocolate Log Blog was straight in with her Spiced Toffee Apple Bonfire Cakes. An individual treat making use of some Divine spiced toffee apple milk chocolate these would also be very welcome when you come in from a spot of carol singing in the coming weeks. A pumpkin is for eating not just for carving at Halloween – that's the wise of Kate at The Gluten Free Alchemist. She made full use of her locally bought pumpkin and turned it into Pumpkin, Sultana & Chocolate Chip Cake (gluten free) with Vanilla Cream Cheese Frosting. With some warming ginger and cinnamon added to the mix this made the perfect Bonfire Night treat. 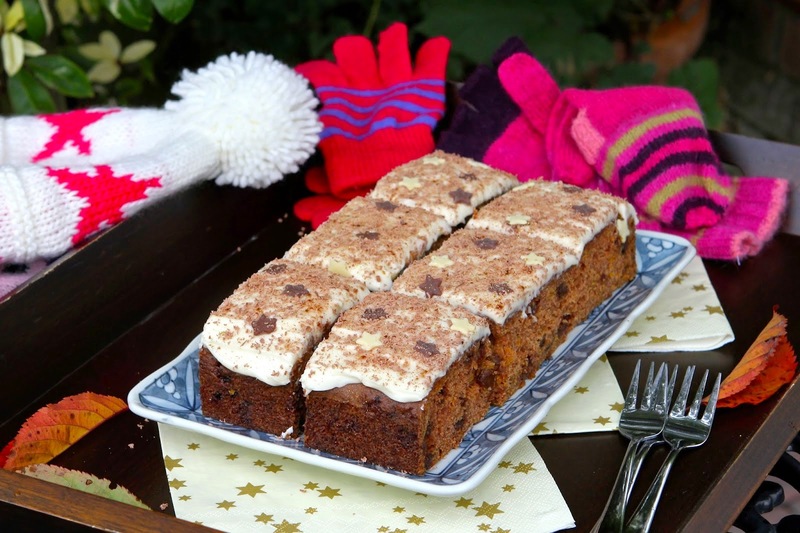 If you're looking for the perfect autumn cake that packs a punch look no further than Ros of The more than occasional baker's Carrot, ginger and rum spiced cake. 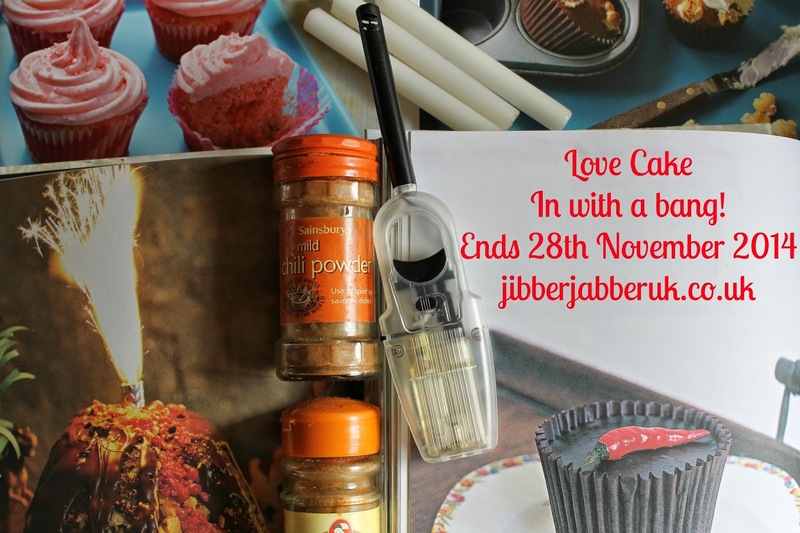 This can be made as one big cake or in mini loaves and has speculaas spice added to the mix. This would also be a lovely recipe for Christmas cake presents. 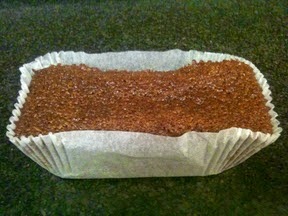 If there's one cake that's most associated with Bonfire Night then it has be Parkin. This northern concoction of oatmeal, ginger, golden syrup and treacle is a favourite in Yorkshire and Lancashire at this time of year. Sarah at The School of Balance found an authentic recipe in The Manchester Cookery Book but warns us it needs to mature for two weeks to get it all lovely and sticky. Could you wait that long? 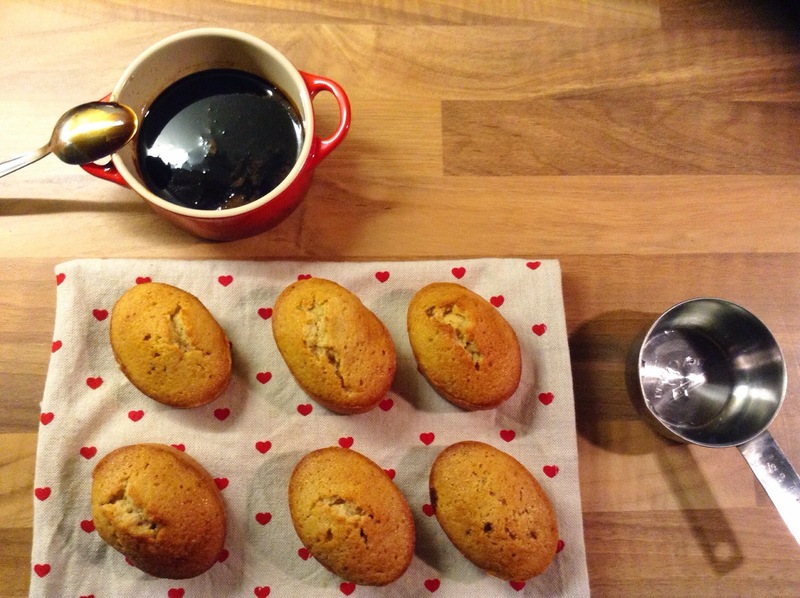 There's something very refined about a friand and Lucy at bakingqueen74 has been adding a seasonal twist to hers with Gingerbread Friands. A tempting combination of golden syrup, dark muscovado sugar and ginger these are made extra light through the use of whisked egg whites. 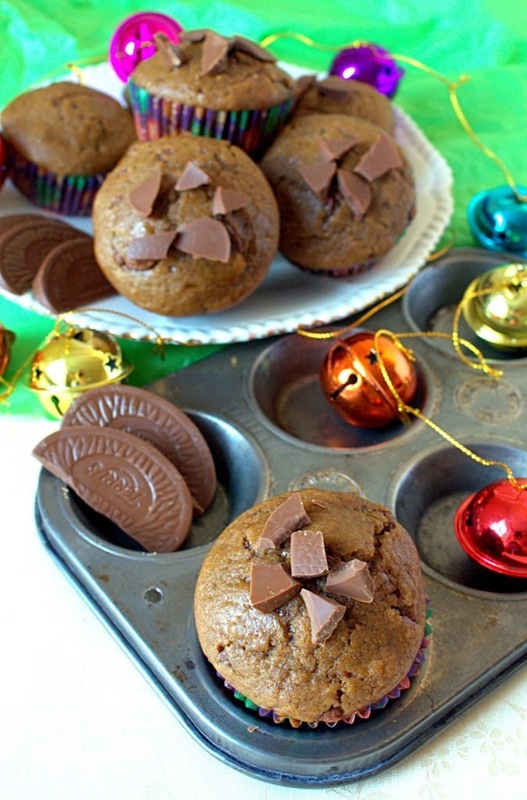 Chocolate orange and ginger all mixed up in a super quick muffin. Need I go on? 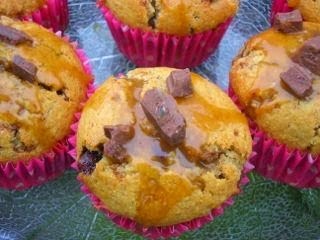 This gorgeous combination was devised by Laura at I'd Much Rather Bake Than for her Orange Chocolate Chip Gingerbread Muffins. This recipe makes 6 muffins but I'm sure most people will be doubling up on that quantity. 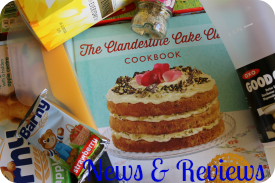 I asked you for a bang this month and Kat at The Baking Explorer has provided one hell of an explosion with her Golden Ale and Dark Chocolate Cake with Exploding Truffles. Fear not; there's no need to call the Bomb Squad as these truffles are made of Heston from Waitrose Popping Candy. Boom! Have you got the Bundt bug yet? I certainly have and so has Pauline from Pauline's Occasional Baking Adventures. Her Winter warmer - gingerbread & Guinness bundt with salted caramel drizzle is sure to warm you from the inside out. If you are a black treacle fan then you are in for a treat with one. I finished off this month with a Chilli Chocolate Loaf Cake. If you have never tried chocolate with chilli in before you are missing a treat. This is a lovely warming combination which makes you feel as if you have had a hot drink to go with it but you haven't. I'd wash it down with tea anyway! Thanks to everyone who linked up this month. 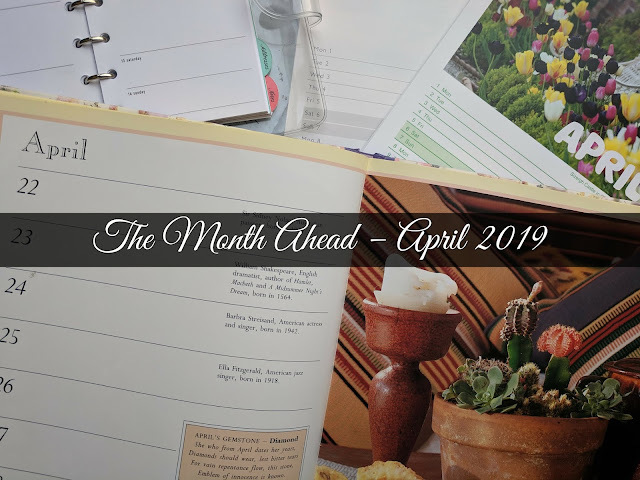 I'll be back in a couple of days with next month's theme. Now, remind me – is there anything special that happens in December? Another lovely selection of cake treats..... Yum!!! Thanks for hosting Ness.... always a joy to enter!